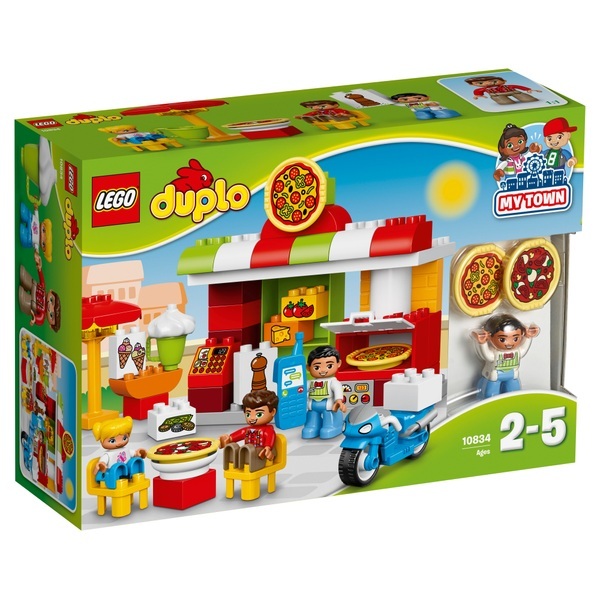 Get your order in quick at the LEGO Duplo Town Pizzeria 10834. Toddlers will love serving delicious pizza straight from the oven in this colourful restaurant, while learning the routines and etiquette of eating out. They can also take orders over the phone then load up the bike for delivery.